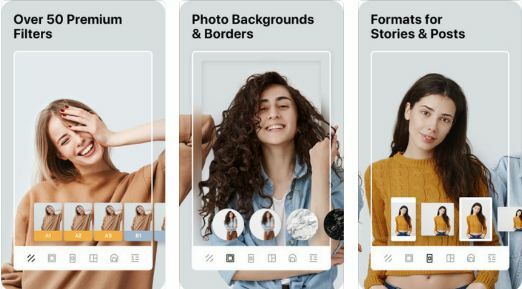 Best photo editor for Instagram as of 2018: I want to tell you about the best photo editing apps for Android & iPhone, Instagram-inspired apps that offer us different and complementary options to tweak our pics. These apps offer us better results in the retouching of our photos: they give us higher quality and resolution, sometimes even making them look as if they were made by a photographer. There is a wide variety of these applications available, not only for iOS, but also for Android, and Windows Phone. Many of them are free, but there are some “premium” paid apps, too. Regardless of which one do you choose, with its use, we can create effects that differentiate us from others and make our photos striking and interesting. 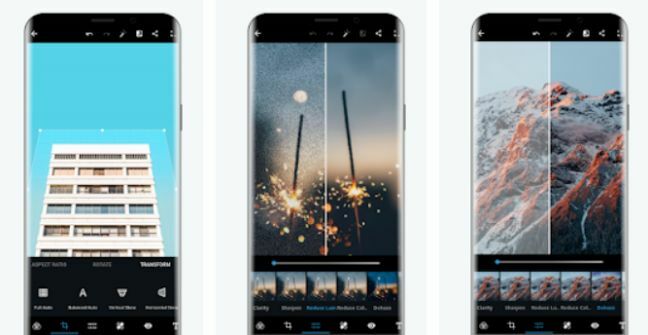 Also check out the reviews we have published earlier under the same topic Top 15 Photo editor apps for android & Best photo editing apps for iPhone. 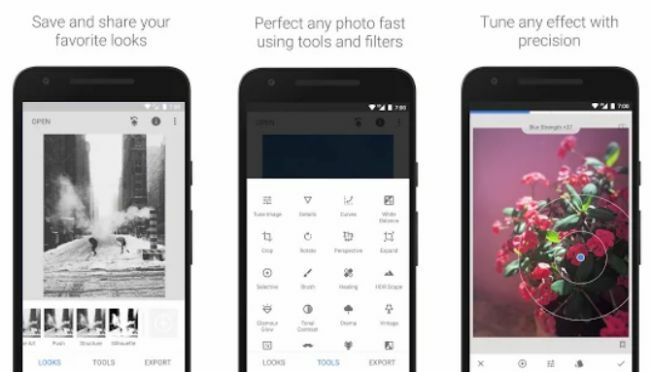 What is the Best Photo editor for android? VSCO is one of the best software to touch up and edit your photos. It’s almost like having your own digital editing room. Created by the company of the same name founded in 2011 dedicated to the development of technology and applications, VSCO is also a community dedicated to artistic expression. In addition, it offers you the possibility to create your own VSCO profile. With a profile, you can share your creations with other users of the community. This interaction will allow you to exchange ideas and inspire yourself with the creations of other users. You will be able to follow the most innovative trends and see what is trending in other parts of the world. VSCO is free and available for both iOS and Android 4.1 or higher. However, it offers filter packages of very high quality with separate payments. If you are a demanding user and want to achieve a Kodak or Fuji level of quality, those filter packages will quickly grab your attention. This photo editing app for Instagram focuses its operation on light, as indicated by its name. If you install it on your mobile device or smartphone, you will have more than 50 different adjustable filters and textures to improve the color and temperature of your photo. It also has more than a hundred frames to personalize your pictures and give them a unique finish. Afterlight has a lot of different functions. You can adjust the intensity of the flash – this specific feature is really special since you don’t need to worry about excessive brightness in the photo if you want to use the flash, and you do not need to apply red-eye correction either. Afterlight specializes in customizing the light on your pictures. This makes it the ideal choice to use on outdoor photos and landscapes. It’s free and available for iOS, Android and Windows phone. This app is very simple and easy to use and this Instagram photo editor available for iPhone and Android. It is also really good photo editing app for Instagram. You can edit your photo and apply different filters to it. With Snapseed, you can correct the black and white balance on the picture, improve the contrast, brightness, saturation, and more. The app also offers a brush tool and a self-correction function that adjusts your photo quickly. You can edit your photos by area, instead of editing the whole photograph. You can rotate and straighten the photo if it is a little inclined and you want to improve the framing. You can also cut it with different templates and choose a printing format if you want to do that. Snapseed offers a variety of borders and frames to apply to your photos, and it has a section of filters and effects very similar to the Instagram one. However, what distinguishes Snapseed from other applications is that it is integrated with the Google+ platform, so you can share your images instantaneously in this social network. Snapseed is free and available for iOS and Android 4.0+. There is also a Snapseed WP version for mobile phones with Windows Phone. How many times have you wanted to share with your friends on social networks how delicious looks that meal you’ve just prepared? Or maybe you are eating in a really good restaurant and you want to share the photo of your gourmet dinner? If you dedicate yourself to cooking or you promote healthy recipes as part of a commercial venture, you should know that if you want a perfect shot, it is not enough with having a perfectly designed plate, a nicely put table, and a suggestive atmosphere. You need something else to make an amazing photo. If this is your case, Foodie is the application that you must have on your mobile or Smartphone. This application has been created by Line and it specializes in food pictures. Foodie is super popular – it has more than a hundred million downloads despite being released in the first quarter of 2016. There are applications for Instagram to edit photos in a similar fashion, but none of them are so specialized in food images. Cool Instagram Captions – Good, Funny, Cute Quotes for Instagram. Foodie has 24 different filters for its users to use on the photos of their dishes and gastronomic creations. The app suggests the best angle to make your photo look appetizing, and it has auto-blur, brightness, light, and flash settings. 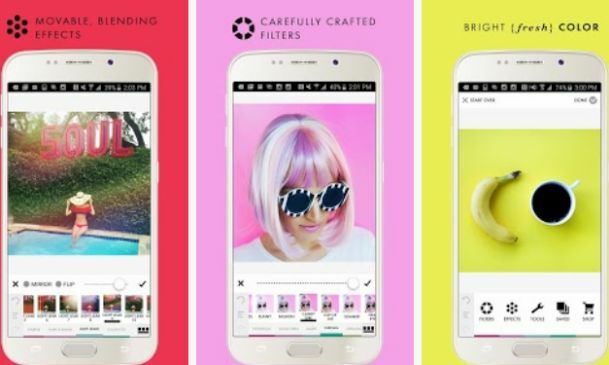 The names of the filters alone can allow you to get an idea of the effects you will get: Sweet, Barbecue, Sushi, Cake, Meat, Crunchy… and you can also share your photos on Line, Twitter, Facebook and, of course, Instagram. Foodie is available for iOS and Android but has not yet released a version for Windows Phone, sadly. However, the app is free! Don’t miss it if you use an iOS or Android device. For lovers of black and white photos, like me (I find them timeless, elegant and perfect), there is a very special app called Black. You might think “Instagram and almost all applications have this option anyway”, but it’s not that simple. Black and white photography requires art and technique to be more than just a regular photo using a filter. This application emulates certain conditions in order to make sure that your photo looks as if you took it using Ilford, Agfa, Kodak, Lomography or Fuji technology. The algorithms of Black make it possible to apply filters with film effect, grayscale, fade and vignette to any photos made with your smartphone. It’s available for free for Windows phone! And you can get it on iOS through a very reasonable payment. Black is one of my favorite picture editing apps. Who does not want to look handsome and interesting in black and white? The counterpart of the previous application, A Color Story focuses on enhancing the color of your photos, to make them bright and fun. This app highlights the white tones and contrasts to give life to those images you want to share. It has more than 100 different filters, up to 40 effects and various tools to apply curves to your photos taken using your Android or iOS mobile. A Color Story is available in both a free version and a paid version – feel free to choose any of them. This application is magnificent and it is very complete. The only downside that I can find is that it is only available for iOS users, and it is not a free app. ▶ Change of perspective, an innovative and interesting way to change the angle of your photo. This is an app made for perfectionists who love selfies. Facetune is not free, but if you’ve used the app and know what you can do with it, you will agree with me when I say that this app is worth every penny. ▶ Hide the gray hairs! I must confess that while I make this list for you, I was thinking of the photos on Facebook and Instagram of some of my friends who look perfect, youthful and beautiful in their photos, but are really different in real life. (Now everything makes sense). Facetune doesn’t stop in the features previously mentioned. Although it focuses on improving faces, the app is also able to slim down the hips, widen the chest of the boys who want to look more robust and the girls that want to increase the bust without surgery or push-up bras! A comment for those who wish to acquire this wonderful and “surgical” app – this type of retouching should be done using common sense because otherwise the change will be noticed and the charm will be lost. You can clean up your face a bit, maybe remove some wrinkles, with measure and moderation. Remember the famous phrase “Less is more”? It applies to many things in life and for Facetune as well. Don’t overdo it! Maybe if you have a very beautiful picture of yourself as your profile pic, but it isn’t faithful to your real appearance, people would be disappointed after meeting you. Stay true to yourself! Facetune is available for iOS and Android phones. There is a similar app for Windows Phone, called Create a Perfect Selfie. This editing and retouching app gives your photos a cinematic look – it provides a white frame that adjusts the dimensions of your photos to the square frame of Instagram and highlights the images to which it is applied. Additionally, and like many other applications in this list, you can apply filters and custom settings to your images, add text (to create memes, among other things), modify the orientation, make a red-eye correction, improve lighting, contrast, sharpness, and add stickers. Whitagram is very versatile, simple to use, and free, although some additional functions can be purchased. There is a more complete version for iOS and another one for Android. These are different and do not have the same functions. Photogram is available as a very complete online editor that allows you to add filters and effects to your photos, change the color, add frames and borders, rotate, add emojis, and make fun collages. It is not available for mobile devices, it is designed for those special photos that you want to share on Instagram made with your camera, or for those people who want to carefully edit their photos using the computer. You can edit pics on your computer and then download the finished photo to your mobile, or upload it directly to your social networks. This application is one of the most used ones among the picture size editor tools. Instasize is really simple and offers its users a range of filters and effects specially designed for photos made with mobile devices. 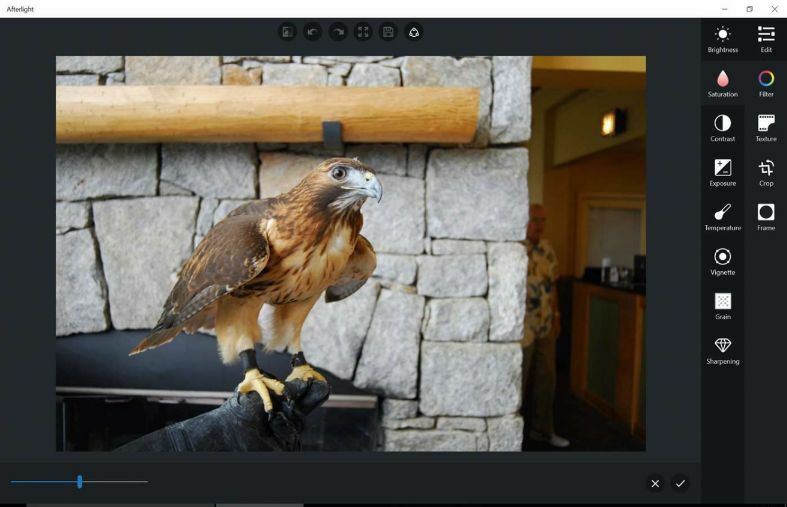 Among its tools, it has multiple and creative options to make changes in the brightness, saturation, contrast, focus, and framing of your photos. You can make collages, one of my favorite options. It allows me to show several photos of the same situation in a single publication. You can save your photos in high resolution to give them higher quality, and you can also share them on Instagram, Twitter, Facebook, and WhatsApp. 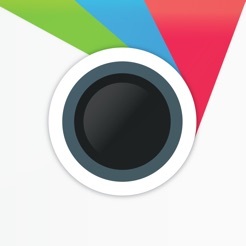 Overall InstaSize is best android photo editor for Instagram. This application is the version of the well-known Adobe software for the digital edition of photography and videos. It is oriented toward iOS, Android and Windows Phone devices. 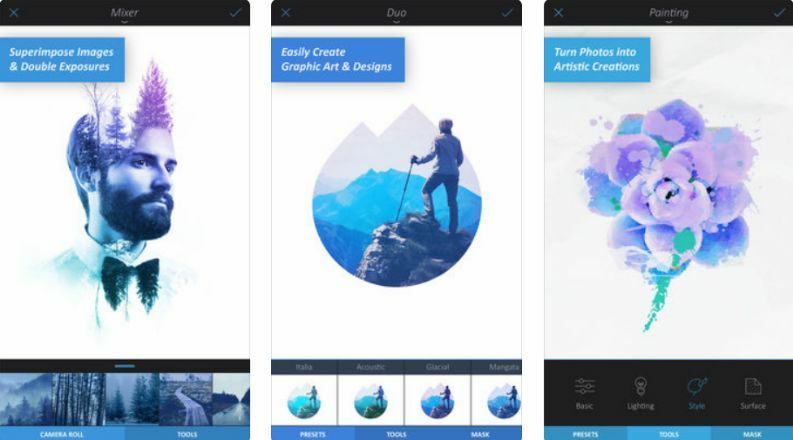 It allows the user to retouch any pictures made with the mobile using trimming, rotation, adjusting of color, tone, brightness, light, contrast, frames and edges, among other tools. The finished photos can be shared via mail, SMS, and on Tumblr, Twitter, Instagram, Facebook, etc. This is another of these apps that work as kind of an Instagram add-on, and it allows the user to add some extra quality to our photos. One of its biggest advantages, besides its simplicity, is that it is very light, so it will not occupy much storage space. It has a great variety of modifications – it features correction of adjustment, improvement, blurring, sharpness, red-eye correction and teeth whitening. It is available in both a free version and a more complete, paid version. Aviary incorporates the possibility of adding stickers, species of stickers, stickers or digital stickers, to your photos. All of this is included in an additional package. You can synchronize the app with Adobe Creative Cloud, giving you access to all your filters and tools anywhere, and from any of your devices. The app is compatible with iOS and Android devices only. Nightcap is an exclusive application for iOS devices, made especially to improve photos taken at night, or taken in poorly lit environments. The cameras of mobile devices usually don’t perform well in conditions of poor lighting, but using NightCap it is possible to overcome this obstacle. The app allows you to increase the capacity of your Smartphone’s camera up to 15 times to capture the intensity of light at the time of making the Photo. Additionally, it reduces the grain effect of the photos made with poor lighting. 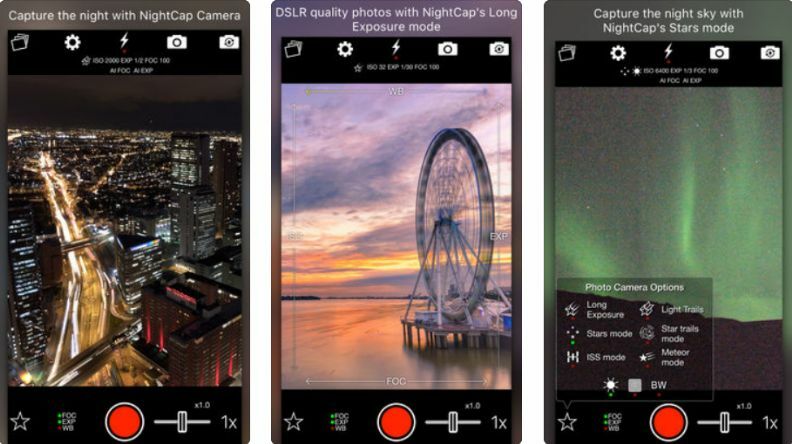 It is not a free app, but for those who love night photography or events, Nightcap will be an essential application. It is an online photo editor software. It offers hundreds of filters and a wide range of effects and creative possibilities. You can alter your photos and give them a personal and professional touch with this Befunky professional photo editor. BeFunky includes the usual options of trimming, correction, blur, and selective focus. It also has other features, such as collage creation, text insertion, and application of borders and frames. It is very easy to use, and it allows you to share your photos on your social networks with just one click. 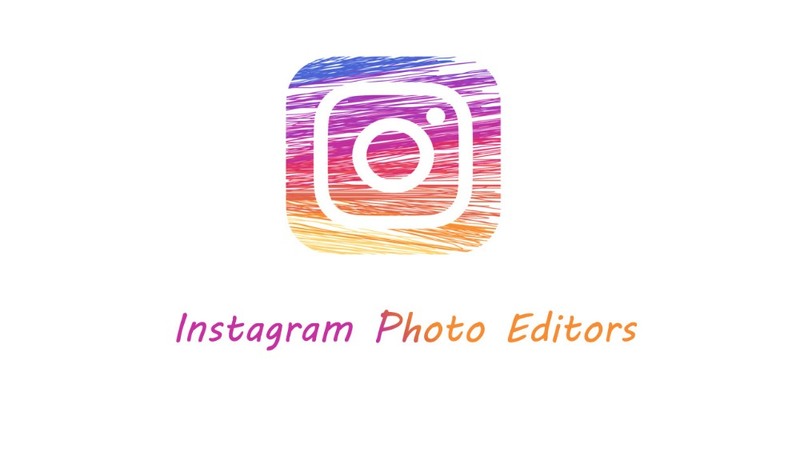 This one is one of the most complete photo editors: it includes almost all the functions you might need to touch up your photos and make them something really special to share on Instagram and other social networks. Moldiv can readjust the color, brightness, temperature, and contrast of the picture. 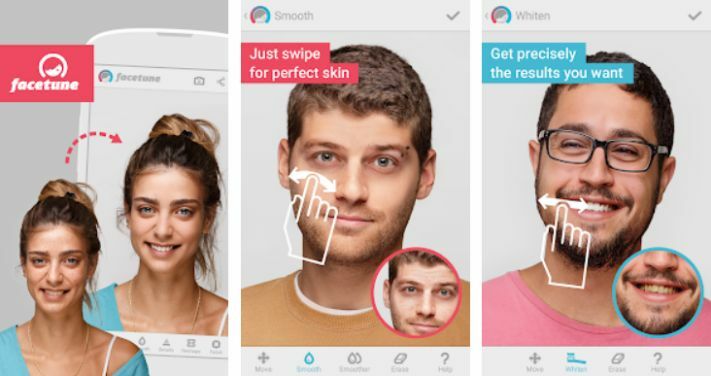 It can also improve your selfies with the beauty option, which is a lot like the facilities offered by Facetune, as explained earlier in this article. The app has a magazine function that will allow you to tell stories, like other apps that use this feature. With Moldiv, you can have up to 180 filters and a set of professional design and editing tools. 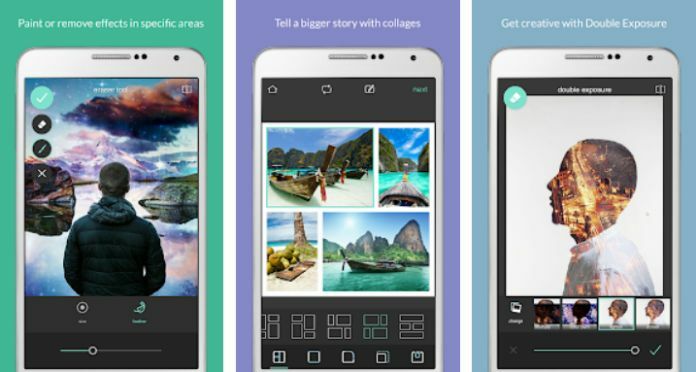 You can create collages of up to 16 photos, posters, albums, and magazines. You will have hundreds of styles of fonts, stickers, backgrounds, and frames to add texts to your publications. Moldiv is very versatile and is created for both novice and professional users. It has manual controls for those who have a certain mastery of photographic techniques, and a selection of features that will fulfill the expectations of both the novice user and the user with knowledge of design and image management. And if you are interested in hashtags, you can tag your creations using #MOLDIV and your photos will be published in the official account of the company @MoldivApp. It’s free and compatible with iOS and Android. This application is an advanced and more complete version of a photo editing software for Instagram and other social networks, called Pixlr-o-Matic. 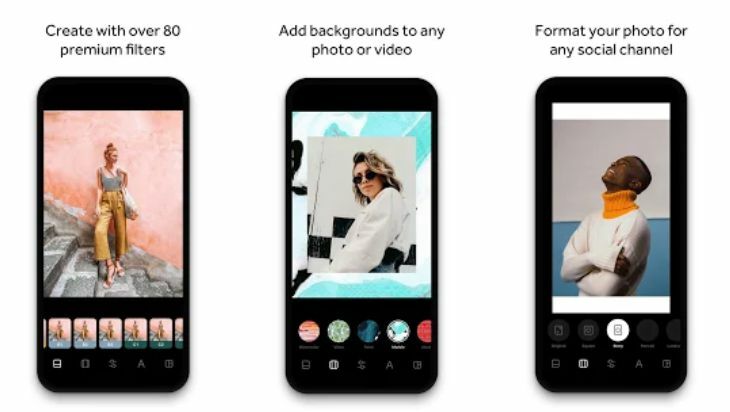 Its creators have integrated new functions to the ones previously found in the app, adding new filters to improve the quality of your digital photography, among other things. There are versions for iOS and Android, and both are free. It has 600 effects, frames, overlays, borders, text tools, various adjustments of brightness correction, sharpness, blur, linear focus, noise and red-eye removal, color enhancement, rotation, and cropping options. These features offer a very complete photo editing package for your pictures that you can download to improve your posts and stand out in social networks. These photo editors are well known among Instagram users. There is not a photo editor able to be labeled as the best since each person prefers different types of editing and retouching and all apps offer something slightly different, albeit very similar between each other. The well-known VSCO photo editor is very popular among all users, so it would be a good way to start modifying elements of the photos. Do all editing applications have the option of black and white? This type of retouching has become a trend in recent years. The truth is that according to photographers, this type of photography is consistent with almost any scenario and environment, embellishing the photo. 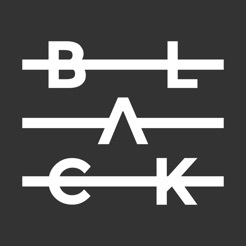 There are some applications that feature this option and others that do not, but if you want a dedicated app for taking pictures in black and white, I would recommend Black.